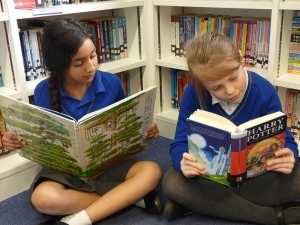 Most importantly, we want our pupils to love reading – whatever their age. From Reception, we read to the children every day fostering a love of all types of books; we ask our parents to do the same. We also have reading mentors from both Year 6 and Orleans Park Secondary School supporting our youngest readers. We teach key phonics skills using the Letters and Sounds phonics programme from Reception to equip our children with the necessary skills to be confident free readers as they grow older. 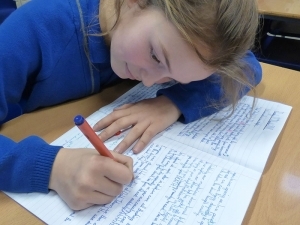 Our writing is closely linked to our half termly topic themes; this approach gives the children even more time to learn about their topics whilst also providing a meaningful output for their work. Core skills in spelling, grammar and punctuation are taught through writing sessions, embedded in the learning rather than separate – this provides a meaningful context for their use. Daily handwriting practice ensures all writers present their work beautifully. We want our young writers to master the English language with a strong control of grammar and punctuation but also a rich, imaginative bank of vocabulary. With these skills and experiences, we believe they can be the authors, poets, editors and journalists of tomorrow. Confident public speaking and the ability to listen with focus are incredible tools to have. As such, we plan frequent opportunities for our children to speak to wider audiences, be it to a group, a class or in assembly; we hold high expectations for all in terms of speaking with volume, clarity and confidence. In our compassionate school we all value the need to listen to others – not just so we can better understand their views and opinions, but so we can strengthen ours.